Taking a family trip to Europe? Don't forget to stop by Paris! For extra fun and adventure, try our Paris scavenger hunt to help you see the sights. This Georgia fun facts worksheet comes with a word search and fun puzzles to solve. Learn about Georgia state! Explore our nation's capital the fun way, with a sight-seeing scavenger hunt! Take this fun sheet on your next family trip to Washington D.C.
Test your fifth grader's geography savvy by challenging him to this printable name the state guessing game. For terrific travelers and voracious vacationers, here's a scavenger hunt to help you see the best of London! The next road trip needs brain teasers like these, with great Texas state sights, facts and a word search to round out this geography worksheet!! The next road trip needs brain teasers like these, with great U.S. state sights, facts and a word search on every geography worksheet. Check out Michigan! Before it was a state, Virginia was one of the colonies, giving it lots of history. 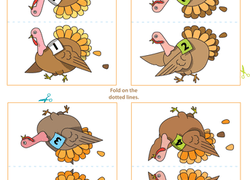 Help your kids learn the 50 states with a fun worksheet series! Give your child something to do next time she has to sit still, wait or travel. This animal word scramble is great spelling practise, too! Going on a family road trip? 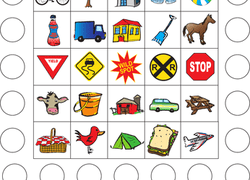 Print out and stash this travel bingo on road signs. Kick back and relax on your next road trip! 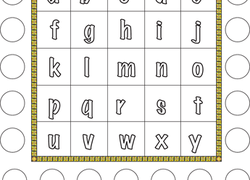 This alphabet car game is perfect for keeping the little ones occupied and practising their ABCs at the same time. 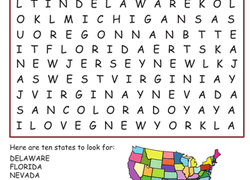 The next road trip needs brain teasers like these, with great state sights and facts on every printable!